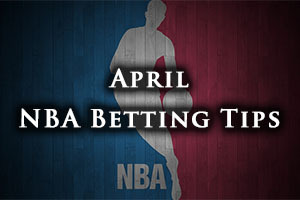 The Easter weekend provides a great opportunity for NBA betting action and there have been plenty of great games on Friday and Saturday this week. There are also some great games on Sunday, which means if you are looking to grab some NBA betting action, do it today because there is only one NBA game taking place on Monday. As for Saturday’s action, the Hornets won a very close game in Charlotte, defeating the 76ers by a score of 92-91. There was also a very close game in Detroit with the Pistons defeating the Heat by a score of 99-98. Things were simpler in Memphis where the Grizzlies slumped to a home defeat, losing to the Wizards by a score of 83-92. The Mavericks also lost out at home, losing 110-123 to the Warriors. The Trail Blazers grabbed a home win in Portland, defeating the Pelicans by a score of 99-90. The Celtics edged a close game in Toronto, defeating the Raptors by a score of 116-117. The Hawks downed the Nets comfortably in Atlanta, winning 131-99. The Bucks slipped to a home defeat, losing 90-97 to the Magic. The Nuggets also lost at home, with the Clippers winning 92-107. The Jazz were narrowly defeated in Phoenix, losing 87-85 to the Suns. The Rockets have had a highly impressive season so far, and the fact that they have been without Dwight Howard for most of it is extremely impressive. However, the team from Houston knows that if they want to have a proper shot at post-season glory, they need him back to his best and in full fitness. This means that this match may be a good opportunity for them to get Howard back in shape and finding his groove for the campaign. On the other hand, the Thunder are in danger of wearing Russell Westbrook out in their pursuit of a playoff spot. He has been instrumental this campaign and any success that the Thunder manage to achieve this season will owe a lot to the form of their key player. Houston have a 52-23 record so far this campaign and this includes a 23-14 record in the road. In their last ten games, they hold an 8-2 record and they are doing very well with respect to recent form. The Thunder holds a 42-34 record so far this campaign and this includes a 22-14 record at home. The Thunder’s form in their last ten games is patchier, sitting with a 5-5 record. With respect to average points for, both teams have a 103.5 record with the Rockets edging the average points against records with 100.2 to 101.2. Taking the Thunder with a -1.5 handicap, at odds of 1.90 should be a decent bet for Sunday. Bet Now! The Cavs know that a home win will ensure that they are looking great for the top spot in the Central Division but the Bulls know that if they can grab a win on the road, they will make the final two weeks of the regular season quite an interesting one. Cleveland expect to welcome Kevin Love back for this game after he sat out the comfortable win against Miami on Thursday. Love was involved with training on Saturday and he expects to be involved in this match. The Bulls have a 46-30 record this campaign and they have a 21-16 record away from Chicago. They have a 6-4 record in their last 10 games. 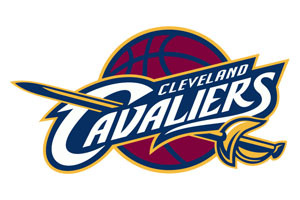 The Cavaliers have a 49-27 record this season and they boast of a 28-9 record in Cleveland. In the last ten games, the Cavs are standing at 8-2. For average points scored, the Cleveland team leads 103.5 to 100.8 and for average points against, the Bulls lead 98.1 to 98.4. This is a game between two teams who have had a poor campaign but when the teams first met this season, back in November, the Knicks had the upper hand. It was the 13th loss in a row for the 76ers, who were on their way to 17 losses in a row, the worst start in the franchise. However, over the campaign, the 76ers have improved and it is actually the Knicks who are in the poorer position of the two teams. The 76ers hold an 18-59 record, with a 6-33 record on the road, and they hold a 3-7 record in their last 10 games. The Knicks have a 14-62 record so far, and this includes a 9-28 record at home. Their last 10 game record stands at 1-9, which is a terrible fun of form. For average points for, the Knicks just hold the advantage, 91.8 to 91.6 and for average points against, the 76ers lead 100.4 to 101.4 This game is between two equally poor teams and the odds of 1.90 are available for victory, never mind handicaps. Taking the 76ers to win, at odds of 1.90, could make your Easter. Bet Now!